Environmental scientists from across the spectrum of physical and biological disciplines are generally agreed that human activities are integral to ecosystems and are organising research networks to identify and address contemporary ecological questions. 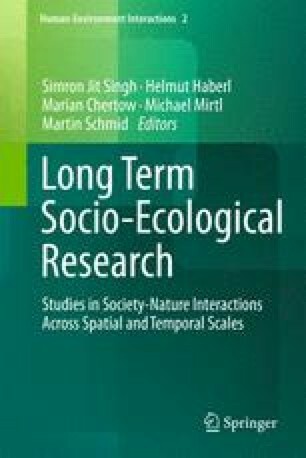 However, without ready and open access to diverse social areas of expertise and practice, environmental scientists alone will not be able to succeed in carrying out forward-looking, problem-oriented research on simultaneously maintaining Earth’s life support systems and meeting human needs. This chapter addresses the specific contribution of anthropology to LTSER research by answering two questions. First, given the numerous calls for interdisciplinary research is there still a role for individual disciplines in contemporary, problem-oriented environmental research? Second, contrary to popular views on what anthropology is and anthropologists do, what is the specific role of anthropology as a discipline in LTSER research? The chapter ends with two case studies from ongoing research in the Coweeta LTER Project in Southern Appalachia that rely on anthropology. This material is based on work supported by the National Science Foundation under Grants DEB-0823293 and DEB-0218001. Any opinions, findings, conclusions, or recommendations expressed in the material are those of the author and do not necessarily reflect the views of the National Science Foundation.